This case study involves a major dispute in the Land Court of Queensland over the Carmichael Coal Mine (commonly known as the “Adani Mine”) proposed in the Galilee Basin of central Queensland and a subsequent judicial review challenge to the mine’s approval in the Supreme Court of Queensland. In addition to the enormous political campaign against the mine, it has faced multiple court cases. Some of those cases that have received heavy media coverage. Those cases are not the focus of this case study but are explained below to minimise confusion over the different cases against this mine and associated infrastructure. 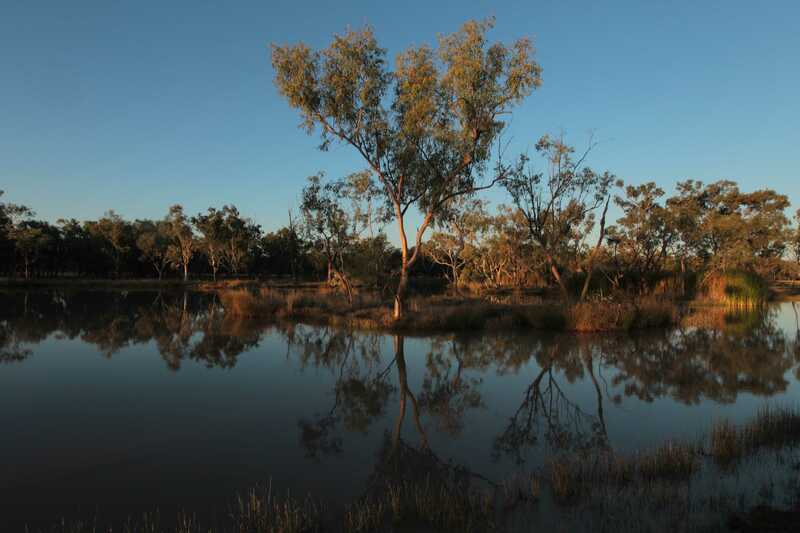 Three cases in the Federal Court of Australia for judicial review of the Commonwealth Environment Minister’s decisions to approve the mine and associated water infrastructure are the subject of a separate case study. Adani initially proposed to extract up to 60 million tonnes per annum of product coal for 150 years from an estimated coal resource of 8.3 billion tonnes. It subsequently reduced the project lifetime to 60 years and estimated total production of 2.3 billion tonnes of thermal coal. Even with the reduced timeframe and scale, the proposed mine is one of the largest coal mines in the world and the mining and burning of coal from it will generate an estimated 4.7 billion tonnes of greenhouse gas emissions. These emissions are over 0.5% of the remaining carbon budget to have a likely chance of limiting global temperature rises to 2 degrees Celsius above pre-industrial levels. Coal from the mine was originally proposed to be transported by a new 189km rail line to the Port of Abbot Point for export principally to India to be burnt for electricity production. Adani also originally proposed to expand the Port of Abbot Point to increase its capacity. The port expansion was the subject of other litigation that is not the focus of this case study. Due a poor outlook for the project, lack of finance and to save money, in August 2018 Adani substantially slimmed down its proposed port expansion and, in September 2018, shifted to using the existing rail line (to, thereby, avoid the capital expense of constructing a major new rail line) for the initial stage of the project. In addition to climate change, one of the major impacts of the mine is on groundwater. Moses 3 Lagoon, part of the Doongmabulla Springs Complex that lies outside the mining lease boundaries but which may be severely affected by the mine due to impacts on groundwater, is shown in the following aerial footage to illustrate the landscape in which the mine is proposed (aerial footage of land within the proposed mine site is also available on the ABC website). A range of other approvals may be required depending on the nature and location of a mine and its associated infrastructure, such as a water licence to extract groundwater or surface water under the Water Act 2000 (Qld); however, changes to the Water Act on 10 November 2016 created a special exemption for the Carmichael Coal Mine to avoid it undergoing a further public objection process for its water licence. The Queensland Coordinator-General declared the mine and rail project a “significant project” in 2010 (the term for this designation later changed to being a “coordinated project”) under the State Development and Public Works Organisation Act 1971 (Qld). This legislation provides an environmental impact statement (EIS) process for large projects but does not actually approve the projects occuring. An EIS under it is fed-back into other approval processes such as under the MRA and EPA. An EIS was prepared for the mine and rail project in 2011-2013 and the Coordinator-General issued a report in 2014 recommending the mine be approved. Concurrently with the Queensland assessment of the mine, it was assessed under the EPBC Act using a bilateral agreement and subsequently approved by the Commonwealth Environment Minister in 2014. However, the Federal Court set aside this approval by consent on 4 August 2015. The Minister reconsidered the application and granted a second approval under the EPBC Act on 14 October 2015. The applications for the mining lease and the environmental authority for the mine under Queensland law were the subject of an objections hearing in the Land Court of Queensland, considered in the next section. that approval of the mine is contrary to the public interest. The hearing of the evidence for the objections to the proposed mine under the MRA and EPA occurred in the Land Court of Queensland for five weeks, from 31 March – 1 May 2015. Closing submissions were delivered on Thursday 14 May 2015. The Land Court delivered its decision on 15 December 2015. 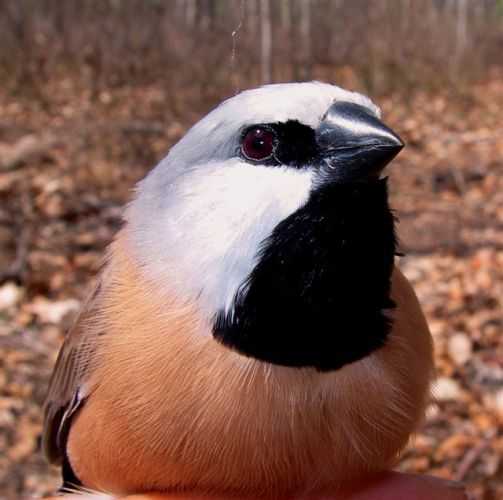 It recommended that the mining lease and environmental authority be granted subject to further conditions in relation to monitoring of impacts on Black-throated Finch. Following the Land Court’s recommendation, the environmental authority for the mine was granted under the EPA on 2 February 2016. The mining lease for the mine was granted under the MRA on 3 April 2016. LSCC applied on 26 April 2016 to the Supreme Court of Queensland for judicial review of the grant of the environmental authority under the EPA. The application was originally based on an error of law or failure to consider a relevant consideration in the obligation in section 5 of the EPA to exercise a power or function under the Act in the way that best achieves the object of the Act, stated in section 3, of ecologically sustainable development. While the obligation in s 5 of the EPA was not recognised in the statement of reasons for the decision to grant the environmental authority, in response to the application the delegate who made the decision affirmed an affidavit stating that she was aware of ss 3 and 5 at the time she made her decision. In response to the affidavit LSCC sought leave to amend its application and proceeded on the basis that the delegate had erred in law in relation to the obligation imposed by s 5 of the EPA. The amended application was heard in the Supreme Court (Bond J) at Brisbane on Friday 5 August 2015. The court dismissed the application on 25 October 2016. Separate litigation for judicial review (the subject of a separate case study) by the Mackay Conservation Group in the Federal Court in Sydney against the Commonwealth approval of the mine under the EPBC Act led to the approval being set aside on 4 August 2015 by consent (see the EDONSW website). No judgment was delivered but the Court later issued a statement that the parties agreed the Commonwealth Environment Minister had failed to consider approved conservation advices for two listed threatened species, the Yakka Skink and the Ornamental Snake, contrary to the requirements of section 139(2) of the EPBC Act. Following the EPBC Act approval being set aside by the Federal Court, the Minister reconsidered the application for the mine and granted a second approval under the EPBC Act on 14 October 2015. The second EPBC Act approval was also the subject of separate litigation for judicial review (again, the subject of a separate case study) by the Australian Conservation Foundation in the Federal Court in Brisbane. That case commenced on 9 November 2015 and was heard in the Federal Court at Brisbane before Justice Griffiths on 3 and 4 May 2016. The Court dismissed the application. The Full Federal Court dismissed ACF’s appeal from that decision on 25 August 2017. ACF commenced a third judicial review challenge in the Federal Court on 4 December 2018, challenging the Minister’s consideration of the impacts of associated water infrastructure for the mine. The ACF website has a useful summary of that case. Several other disputes (also not the subject of this case study) about the mine involve native title issues raised by the Traditional Owners of the land on which the mine was proposed, the Wangan and Jagalingou People. The first of these disputes involved hearings in the National Native Title Tribunal (NNTT) and the Federal Court under the Native Title Act 1993 (Cth) (NTA) after the Wangan and Jagalingou People rejected an Indigenous Land Use Agreement (ILUA) proposed by Adani for the grant of the mining lease for the mine. The Wangan and Jagalingou People applied in 2004 for recognition of their native title for an area northwest of Emerald in central Queensland. The northewestern part of the claimed area includes the land on which the mine is proposed. The NNTT has registered the Wangan and Jagalingou People’s native title claim but the application has not yet been decided. Registration of their native title claim gives the Wangan and Jagalingou People a right to negotiate in relation to government decisions that may affect their native title interests, such as the grant of a mining lease, under the future acts regime of the NTA. When negotiations for an ILUA were unsuccessful, Adani applied to the NNTT for determination of a grant of a mining lease for the mine under the NTA. The Tribunal held in 2013 that it had jurisdiction to hear the application. It subsequently determined on 8 April 2015 that the mine could proceed under the future acts regime of the NTA. An elder of the Wangan and Jagalingou People, Adrian Burragubba, appealed this determination to the Federal Court but the application was dismissed. An appeal from that decision was dismissed by the Full Federal Court in August 2017. A second dispute concerning native title issues involved an application by elders of the Wangan and Jagalingou People in the Supreme Court of Queensland for judicial review of the grant of the mining lease under the MRA based on native title grounds. That application was also dismissed. An appeal in the Queensland Court of Appeal was also dismissed in August 2017. Further litigation regarding the ILUA was dismissed in August 2018. Wangan and Jagalingou elder Adrian Burragubba speaks about the mine in the following film from a story about the dispute on The Guardian website. In addition to litigation against the Carmichael Coal Mine itself, a number of cases have been brought against expansion of the Abbot Point Coal Terminal to allow export of the large increase in coal production associated with the mine and other new mines in the Galilee Basin. These associated proceedings have been brought in both the Adminstrative Appeals Tribunal (AAT) and the Federal Court for various issues associated with the dredging, dredge spoil disposal and expansion of the port. The first of these cases, commenced in early 2014 by the North Queensland Conservation Council in the AAT, challenged a permit granted under the Great Barrier Reef Marine Park Act 1975 (Cth) for dredge spoil disposal in the Great Barrier Reef Marine Park. The proponent later abandoned this proposal and the hearing before the AAT did not proceed. On 26 June 2015 the AAT ordered the cancellation of the permit with the consent of the parties. A second case, commenced in mid-2014 by the Mackay Conservation Group, sought judicial review in the Federal Court of the EPBC Act approval for dredging and disposal of the dredge spoil in the Great Barrier Reef Marine Park and World Heritage Area. The proponent later abandoned the proposal to dispose of the dredge spoil in the Great Barrier Reef but the case has not yet been resolved. 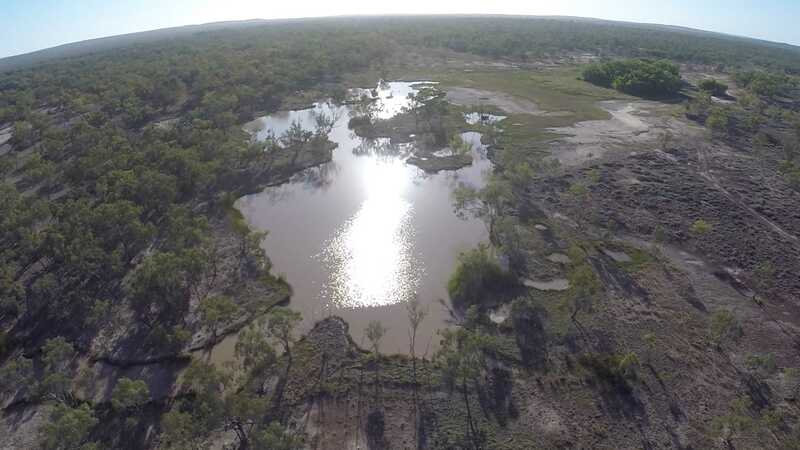 A third case, commenced in early 2015 by the Alliance to Save Hinchinbrook conservation group, sought judicial review in the Federal Court of decisions under the EPBC Act to fast-track the assessment of a proposal to dispose of dredge spoil for the expansion of Abbot Point in the nearby Caley Valley Wetlands. The case is now over as the new Queensland Government officially withdrew its application under the EPBC Act for this proposal on 12 March 2015. A fourth case, commenced in 2016 by the Whitsunday Residents Against Dumping conservation group challenged the lawfulness of the Queensland Government’s decision to approve an environmental authority under the EPA for Adani’s Abbot Point coal terminal expansion in the Queensland Supreme Court. The application was dismissed on 15 June 2017. Due the poor outlook for the project, lack of finance and to save money, in August 2018 Adani substantially slimmed down its proposed port expansion. Richard Dennis, writing in The Monthly in May 2018, provided an interesting and insightful analysis of the politics and symbolism of the Adani mine that is well worth reading. The next section provides key documents for the objection hearing in the Land Court and subsequent judicial review challenge to the grant of the environmental authority under the EPA in the Supreme Court. Initial advice statement by Adani seeking the mine & rail project be declared a coordinated project, 22 October 2010. Declaration by the Queensland Coordinator-General that the project was a “significant project” (later changed to being termed a “coordinated project”), 26 November 2010. MLA 70441 lodged 8 November 2010. MLA 70505 lodged 28 November 2012. MLA 70506 lodged 28 November 2012. Environmental authority application, lodged 14 April 2014 (revised from an earlier application). Terms of reference for the EIS of the project, May 2011. EIS for the project, 2013. Queensland Coordinator-General’s report recommending approval of the mine, May 2014. Referral and assessment of the mine under the EPBC Act. Objection to the mining lease by LSCC, 16 June 2014. Objection to the environmental authority by LSCC, 16 June 2014. Opening submissions on behalf of LSCC outlining its case at the start of the objection hearing in the Land Court, 31 March 2015. Map of mining lease area and surrounding pastoral properties and springs (by LSCC). 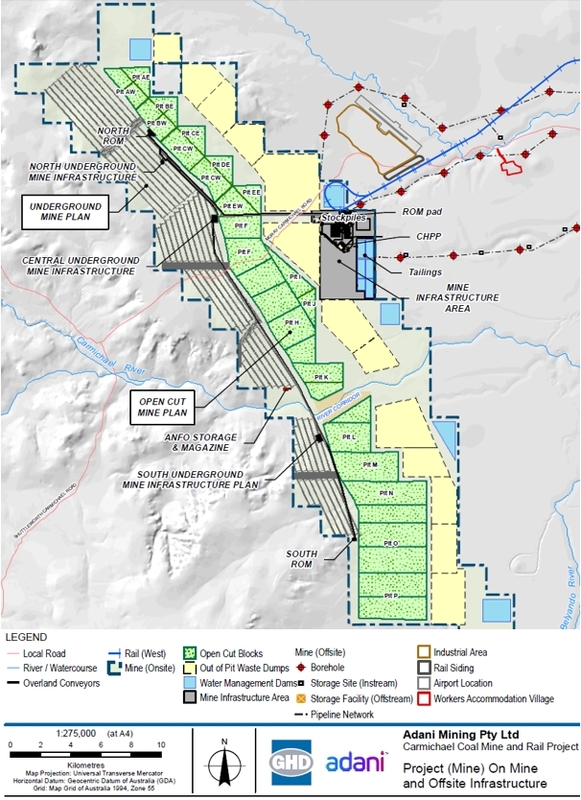 Map of mine footprint and nearby exploration permits for other proposed mines (by LSCC). Affidavit of Juanita Williams with photographs of springs and areas affected by the proposed mine (eDoc OL018; Exhibit 11). Drone vision of Doongmabulla Springs (by LSCC). First Groundwater Joint Expert Report (eDoc JR004; Exhibit 14). First affidavit and expert report of Mr John Bradley (conceptual groundwater model) for Adani (AA008; Exh 17). Expert report of Dr John Webb (conceptual groundwater model) for LSCC (OL012; Exh 18). Assessment of Fracturing in the Groundwater Model by Dr Noel Merrick (Attachment NPM-4). Expert report of Dr Adrian Werner (groundwater numerical model) for LSCC (OL011; Exh 20). Second affidavit and expert report of Mr John Bradley (conceptual groundwater model) for Adani (AA020; Exh 17) [without attachments]. Second Groundwater Joint Expert Report (JR010; Exh 15). Springs Ecology Joint Expert Report (JR005; Exh 21). First report of Mr Bruce Wilson (Springs & WCP) for Adani (AA011; Exh 22). Expert report of Dr Rod Fensham for LSCC (OL017; Exh 23). First BTF Joint Expert Report (JR002; Exh 27). Expert report of Mr Adrian Caneris and attachments (BTF) for Adani (AA017; Exh 29). Expert report of Mr Bruce Wilson (BTF habitat) for Adani (AA015; Exh 30). Expert report of Mr Lindsay Agnew and attachments (BTF) for LSCC (OL024; Exh 31). Expert report of Dr Mike Olsen (BTF habitat) for LSCC (OL023; Exh 32). Second BTF Joint Expert Report (JR009; Exh 28). Greenhouse gas emissions joint expert report (JR006; Exh 33). Expert report of Dr Chris Taylor (GHG emissions calculations & climate change) for Adani (AA007; Exh 34). Expert report of Dr Malte Meinshausen (climate change) for LSCC (OL013; Exh 35). Expert report of Professor Ove Hoegh-Guldberg (climate change impacts on the GBR) for LSCC (OL014; Exh 12). Witness statement of Tony Fontes for LSCC (observations of impacts to the GBR) (OL006; Exh 13). Energy Markets & Financial Analysis Joint Expert Report (JR007; Exh 36). Expert report of Mr Jon Stanford for Adani (AA009.1; Exh 37). Expert report of Mr Tim Buckley for LSCC (OL015; Exh 38). Supplementary report of Mr Tim Buckley for LSCC (OL021; Exh 39). Second Supplementary report of Mr Tim Buckley for LSCC (OL025; Exh 40). First Economic Assessment Joint Report (JR003; Exh 41). Corrected Attachment B (AA006.2; Exh 43). Second Economic Assessment Joint Report (JR008; Exh 42). Second expert report of Dr Jerome Fahrer for Adani (AA016; Exh 44). Expert report of Dr Richard Denniss for LSCC (OL022; Exh 45). LSCC summary of closing submissions, 14 May 2015. LSCC (full) closing submissions, 14 May 2015. Land Court decision recommending approval of the mine: Adani Mining Pty Ltd v Land Services of Coast and Country Inc & Ors  QLC 48, delivered on 15 December 2015 (MacDonald P). Land Court decision refusing Adani’s application for costs: Adani Mining Pty Ltd v Land Services of Coast and Country Inc & Ors (No. 2)  QLC 22, delivered on 23 March 2016 (MacDonald P). Environmental authority granted on 2 February 2016. Statement of reasons for grant of the environmental authority, 29 March 2016. Mining lease granted on 3 April 2016 [not yet available]. Statement of reasons for grant of mining lease, 13 May 2016. Application for a Statutory Order of Review of the decision to grant the environmental authority, filed 26 April 2016. Delegate’s affidavit in response to the application for judicial review [without exhibits], affirmed 16 June 2016. Applicant’s Outline of Argument, 1 July 2016. First Respondent’s Outline of Argument, 20 July 2016. Second Respondent’s Outline of Submissions, 22 July 2016. Applicant’s Reply, 29 July 2016. Amended Application for a Statutory Order of Review, filed 5 August 2016. Supreme Court decision dismissing the judicial review challenge: Land Services of Coast and Country Inc v Chief Executive, Department of Environment and Heritage Protection & Anor  QSC 272, delivered on 25 October 2016. Moses 3 Lagoon from the air, part of the Doongmabulla Springs Complex potentially affected by the proposed mine. Moses 3 Lagoon, part of the Doongmabulla Springs Complex potentially affected by the proposed mine. Black-throated Finch: Down to the Wire, Birdlife Australia, December 2014. Adani’s Carmichael coal mine loan in doubt, Brisbane Times, 14 March 2015. Wangan and Jagalingou people reject $16 billion Carmichael mine to be build in central Queensland, ABC News, 26 March 2015. Aboriginal group fights to stop $16bn Carmichael coalmine, Australia’s largest, The Guardian, 26 March 2015. Traditional ownwers vs Carmichael Mine, ABC Lateline, 26 March 2015. Queensland’s proposed Carmichael coalmine faces legal bid over climate change, The Guardian, 31 March 2015. Finch could prove fatal for Qld mine, SBS/AAP, 31 March 2015. Qld mine could hurt endangered finch, Sky News, 31 March 2015. A Coal Load Of Problems: Community Group Drags Mining Giant Into Court, New Matilda, 31 March 2015. Carmichael coal mine: Conservation group Coast and Country challenge mining giant Adani in Land Court, ABC News, 1 April 2015. Adani mega-mine would damage environment: court, Brisbane Times, 7 April 2015. French banks rule out funding Adani’s Galilee Basin coal mine, ABC News, 9 April 2015. Adani, the new coal Tar Baby, Australian Financial Review Weekend, 10-11 April 2015. Adani’s Carmichael coal mine a step closer, The Courier Mail, 16 April 2015. Environmentalists scoff at Adani’s ‘benefits to community’, The [Rockhampton] Morning Bulletin, 17 April 2015. Adani boss says Carmichael megamine a test case for more large-scale Indian investment, The Courier Mail, 17 April 2015. Black-throated Finch vs coalminers, Birdlife Australia, 20 April 2015. Adani’s finances under the spotlight, The [Rockhampton] Morning Bulletin, 24 April 2015. Adani coalmine would not deliver jobs and royalties promised, land court hears, The Guardian, 27 April 2015. Whole lot of guff, ABC Media Watch, 27 April 2015. Prospects for Australia’s biggest coal mine in doubt, Digital Journal, 27 April 2015. Adani Mining feels heat over $14b Galilee Basin coal mine gap, Sydney Morning Herald, 28 April 2015. Coal industry set for shake-out after prices halve, ABC News, 28 April 2015. Adani’s economic outlook ‘makes no sense’, The [Rockhampton] Morning Bulletin, 29 April 2015. Queensland’s miners will need a miracle to profit from coal now, The Guardian, 29 April 2015. Expert says Carmichael mine losses would negate Adani’s need to pay tax, The Guardian, 1 May 2015. Adani gilded lily is far from rolled gold, Sydney Morning Herald, 2 May 2015. Adani’s Restructuring Turns Its Australian Coal Project Into Collateral Damage, IEEFA, 4 May 2015. Adani denies executive admitted exaggerating mine job creation figures, The Guardian, 4 May 2015. Adani to battle to finance mine: report, Business Spectator, 5 May 2015. Adani’s Oz project unviable: Study, Business Standard, New Delhi, 5 May 2015. Adani rejects claims restructure means it can’t pay for Queensland coal project, ABC News, 5 May 2015. Standard Chartered faces pressure to cut links to Australian ‘carbon bomb’ project, The Guardian, 5 May 2015. The Trial and Tribulations of Adani Mining: Four Of Their Shakiest Claims, New Matilda, 11 May 2015. Court in ‘best position’ to decide on mine, say activists, Daily Mercury, 14 May 2015. Adani’s Carmichael mine: damage far outweighs benefits, lawyer claims, The Guardian, 14 May 2015. Adani’s ‘absolute failure’ revealed in court, Sunshine Coast Daily, 15 May 2015. The new coal frontier: Galilee Basin, Australia, The Guardian, 17 May 2015. Adani overestimated Carmichael coalmine benefits, Indigenous group says, The Guardian, 27 May 2015. Comment: Climate must be a factor in assessing coal mine ‘benefits’, Brisbane Times, 30 May 2015. Adani a dud candidate for government support, The Sydney Morning Herald, 6 June 2015. Adani Mining: Senior Queensland bureaucrats frozen out of government’s Galilee Basin deal, ABC News, 1 July 2015. Adani’s Carmichael Mine is unbankable says Queensland Treasury, The Sydney Morning Herald, 1 July 2015. Greg Hunt urged to scrap Carmichael mine plan after new evidence of impact, The Guardian, 3 August 2015. Adani caned but not canned, The Age, 5 August 2015. Adani and Commonwealth Bank part ways, casting further doubt on Carmichael coal project, The Sydney Morning Herald, 5 August 2015. Adani and government caught cutting corners on Carmichael mine, The Sydney Morning Herald, 5 August 2015. Adani Carmichael mine: Commonwealth Bank walks away from financial adviser role for $16 billion coal mine project in central Queensland, ABC News, 5 August 2015. Future of Carmichael mine hinges not on skinks or snakes, but its business case, The Guardian, 6 August 2015. Adani’s Australian coal prospects in doubt, BBC, 9 August 2015. Standard Chartered backs off Adani coal mining project, The Sydney Morning Herald, 11 August 2015. UK bank and Adani cut ties on Qld mine, SBS World News, 11 August 2015. The government vs the environment: lawfare in Australia, The Conversation, 18 August 2015. Abbott is losing the plot in his war on environmentalists, The Sydney Morning Herald, 21 August 2015. Clarke And Dawe – Episode 31, ABC, 27 August 2015. Fact check: Will Adani’s coal mine really boost employment by 10,000 jobs? Climate Spectator, 31 August 2015. Graph of the Day: Carmichael coal mine to take big chunk of carbon budget, RenewEconomy, 12 November 2015. Carmichael vs The World, The Australia Institute, 12 November 2015. Traditional owners appeal against native title process for Adani’s Carmichael mine, ABC News, 23 November 2015. Adani ‘distorted’ jobs from Carmichael mine, The Australian Financial Review, 23 November 2015. Miner engaged in ‘fraud’, says indigenous group, Sydney Morning Herald, 23 November 2015. Traditional land owner tells court Adani misled tribunal over mine’s benefits, The Guardian, 23 November 2015. Queensland court agrees Adani overstated benefits of Carmichael coal mine, Brisbane Times, 15 December 2015. Queensland court dismisses green group’s challenge to Adani coalmine, The Guardian, 15 December 2015. There’s no precedent for stopping the Carmichael coal mine, but we should, The Conversation, 17 December 2015. Queensland gives Adani environmental permit for Carmichael coalmine, The Guardian, 2 February 2016. 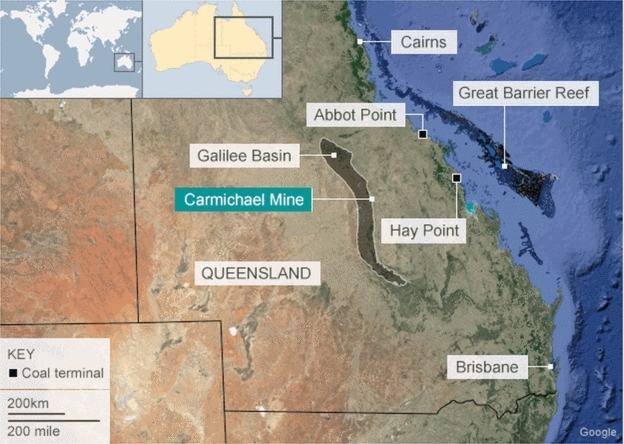 Adani’s Carmichael coal mine gains final Queensland Government environmental approval, ABC News, 2 February 2016. Still some time before Adani mine approval consideration, Sydney Morning Herald, 3 February 2016. Adani puts Galilee coal mine on hold pending recovery in coal price, RenewEconomy, 4 February 2016. Stakes raised for black-throated finch’s largest remaining habitat on Adani mine site, The Guardian, 25 February 2016. Coalmine approvals based on flawed models, The Saturday Paper, 27 February 2016. Adani fails to force activists to pay $1m costs for Carmichael challenge, The Guardian, 23 March 2016. Carmichael coal mine: Mining leases approved for $21 billion project in Queensland’s Galilee Basin, ABC News, 3 April 2016. Adani’s Galilee Basin project mine leases approved, Sydney Morning Herald, 3 April 2016. Adani’s Carmichael coalmine leases approved by Queensland, The Guardian, 3 April 2016. Environmental groups slam Adani approvals as resources sector celebrates, Brisbane Times, 3 April 2016. Decision on coal mine ‘defies reason’, Sydney Morning Herald, 4 April 2016. Green and Indigenous groups furious over Queensland’s Carmichael coalmine lease approval, The Guardian, 4 April 2016. Massive Carmichael coal mine in Queensland not viable, job claims overblown, economist says, ABC News, 4 April 2016. Adani’s Carmichael mine approval labelled ‘economic stupidity’, The Guardian, 4 April 2016. Adani’s Carmichael mine is just not going to happen, Sydney Morning Herald, 5 April 2016. The Carmichael mine lease shows that decisions on coal need a much wider perspective, The Conversation, 7 April 2016. Is this the end of the Great Barrier Reef? Sydney Morning Herald, 8 April 2016. Coal v Coral: if Greg Hunt faces the truth he can save the Great Barrier Reef, The Guardian, 15 April 2016. Great Barrier Reef: Federal, Queensland governments not listening to scientists, ‘Godfather of Coral’ says, ABC News, 18 April 2016. Approval of Adani’s Queensland coalmine faces another legal challenge, The Guardian, 27 April 2016. Carmichael coalmine appeal says Adani ‘misled’ Native Title Tribunal over benefits, The Guardian, 8 September 2016. Adani’s Carmichael coalmine proves environment laws ‘too weak’ – report, The Guardian, 12 September 2016. Tougher water test looms for Adani, The Australian, 14 September 2016. Adani prepares for an end to lawfare with a smaller, cheaper Carmichael, Australian Financial Review, 21 September 2016. Carmichael coal mine: politics, activism and the search for truth, The Guardian, 8 October 2016. Adani must prove financial viability for Carmichael mine: Minister, Brisbane Times, 9 October 2016. Carmichael mine to be given ‘essential’ status in sign of Palaszczuk support, The Guardian, 9 October 2016. Adani coal mine gains ‘critical’ status as Queensland Government moves to kick-start project, ABC News, 10 October 2016. The Coal Wars: a fact check, The Australia Institute, 27 October 2016. Four environmental reasons why fast-tracking the Carmichael coal mine is a bad idea, The Conversation & ABC, 2 November 2016. Queensland government gives Adani water exemption, The Sydney Morning Herald, 10 November 2016. Adani’s Carmichael mine protected from legal challenges under Queensland water changes, The Guardian, 10 November 2016. Mining companies’ new water licence requirements passed by Queensland Parliament, ABC News, 10 November 2016. Sweatheart deal for Adani, Brisbane Times, 10 November 2016. Adani Is The Canary In The Coal Mine For Our Groundwater, Huffington Post, 21 November 2016. Environmental challenge to Carmichael coalmine dismissed by supreme court, The Guardian, 25 November 2016. Adani coal mine: green groups fume over plan for $1b federal loan, The Guardian, 3 December 2016. Adani’s Galilee Basin complex corporate web spreads to tax havens, ABC News, 21 December 2016. Adani’s Carmichael mine in doubt after shock court decision, Townsville Bulletin, 3 February 2017. Adani mine leases and national parks in doubt after native title court decision, The Guardian, 6 February 2017. In the battle for the planet’s climate future, Australia’s Adani mine is the line in the sand, The Guardian, 27 March 2017. Adani plans to export low quality, high ash coal to India, court told, ABC News, 3 April 2017. Adani’s Carmichael coal mine is environmentally reckless and contrary to today’s energy markets, Sydney Morning Herald, 6 April 2017. ‘High and dry’: Adani seeks additional surface water to feed giant coal mine, Sydney Morning Herald, 6 April 2017. Adani’s telling meltdown over Westpac’s new climate policy, RenewEconomy, 2 May 2017. The future of Australian coal: an unbankable deposit, The Conversation, 3 May 2017. Risky Business: Health, Climate and Economic Risks of the Carmichael Coalmine, Climate Council, 18 May 2017. The Damning Report That Says Adani’s Carmichael Mine Is A Slow Train To Ruin, Huffington Post, 18 May 2017. Adani pressures Queensland government by putting investment decision on ice, Sydney Morning Herald, 22 May 2017. Adani Carmichael mine’s rehabilitation financial assurance at least $1.5b, Lock the Gate says, ABC News, 24 May 2017. Federal Labor feels the heat over Adani, and Coalition is sweating too, The Guardian, 27 May 2017. Queensland says it won’t play any role in funding for Adani project, The Guardian, 27 May 2017. Adani board pushes ahead with Queensland coal mine, chairman confirms, ABC News, 6 June 2017. Adani announces ‘green light’ for Carmichael mega coal mine, Sydney Morning Herald, 6 June 2017. Revealed: Gautam Adani’s coal play in the state facing global-warming hell, Sydney Morning Herald, 9 June 2017. Galilee Basin mines will slash coal output, jobs elsewhere, Wood Mackenzie says, 6 July 2017. Adani’s Carmichael coal mine has slow ‘official start’ planned, leaked document shows, ABC News, 10 July 2017. Adani mine ‘spinning the roulette wheel’ on survival of black-throated finch, researchers say, ABC News, 14 July 2017. Fresh legal challenge looms over Adani mine risk to endangered finch, The Guardian, 20 July 2017. Coal in decline: Adani in question and Australia out of step, The Guardian, 25 August 2017. Digging into Adani, ABC Four Corners, 2 October 2017. Adani Australia: Investigation uncovers tax haven ties to British Virgin Islands, ABC News, 2 October 2017. Adani needs Carmichael mine to stave off income crash, report says, The Guardian, 3 October 2017. Why are we still pursuing the Adani Carmichael mine? The Conversation, 4 October 2017. Jobs bonanza? The Adani project is more like a railway to nowhere, The Guardian, 18 October 2017. Is this the end of the road for Adani’s Australian megamine?, The Guardian, 7 December 2017. ‘A national disgrace’: Australia’s extinction crisis is unfolding in plain sight, The Guardian, 13 February 2018. Labor prepared to revoke Adani coalmine licence if elected, says Cousins, The Guardian, 27 February 2018. Adani mine licence could be revoked under Labor government, Geoff Cousins says Bill Shorten told him, ABC News, 28 February 2018. Revoking Adani mine licence a safe move for future Labor government, Shorten told, ABC News, 28 February 2018. Legal advice reveals how Adani’s coal mine could be stopped, News.com.au, 28 February 2018. Adani mine supporters now questioning whether project will go ahead, ABC News, 15 March 2018. Why Adani won’t die, The Monthly, May 2018. Adani plans to protect desert springs are worthless, water experts say, ABC News, 19 June 2018. Indigenous group hid more than $2m in payments from Adani mining giant, The Guardian, 22 June 2018. Adani environmental plans fail to address regulator demands designed to protect oasis, ABC News, 16 August 2018. Adani lodges slimmed-down plan to expand Abbot Point coal terminal, The Guardian, 1 August 2018. Adani groundwater bores investigated amid claims they were sunk without approval, ABC News, 12 September 2018. State and federal investigation launched into Adani’s Carmichael water drilling, The Guardian, 12 September 2018. Adani has made a big change to its Queensland rail plan, to save money, Brisbane Times, 13 September 2018. Adani mine site to remain under native title until finance confirmed, Minister says, ABC News, 15 September 2018. Adani plans to draw 12.5b litres of water and there will be no environmental impact statement, ABC News, 18 September 2018. ‘No direct impacts’ on reef: Minister defends Adani as activists target Labor, Sydney Morning Herald, 30 November 2018. Carmichael mine: federal election, rail access and native title stand in the way, The Guardian, 1 December 2018. Galilee Basin mine plans understated water impact, government report says, The Guardian, 15 December 2018. Adani’s key water management plan is flawed and used some unverified data, CSIRO says, ABC News, 17 December 2018. The legal clause [ISDS] which could allow Adani to sue Australia, The Guardian, 17 December 2018. Adani ‘conservation area’ for endangered finch sits on proposed Clive Palmer mine, The Guardian, 30 December 2018. Adani provided ‘persuasive’ evidence of ‘illegal’ water bores, environmental lawyers say, ABC News, 30 December 2018. Adani: 2,000 hectares of black-throated finch habitat removed from conservation plans, The Guardian, 22 January 2019. Adani mine: [federal] environmental laws designed to protect black-throated finch led to bird’s decline, The Guardian, 30 January 2019. Queensland government rebukes Adani over endangered finch, The Guardian, 15 February 2019. Scientists unite against Adani attack on report into endangered finch, The Guardian, 16 February 2019. News Corp attacks scientists assessing Adani coalmine – and ignores science, The Guardian, 16 February 2019. Adani’s new law firm put forward ‘trained attack dog’ strategy for waging legal ‘war’, ABC News, 19 February 2019. Adani’s ‘legal intimidation’ tactics against community groups a ‘threat to democracy’, The Guardian, 19 February 2019. ‘An absolute mess’ Adani coalmine approval could take two years, Queensland official says, The Guardian, 21 February 2019. Labor warns government not to make Adani coalmine decisions before election, The Guardian, 5 April 2019. How last-minute Adani approval could be the final big call of the Morrison Government, ABC News, 8 April 2019. Adani coalmine: Morrison and Frydenberg play down remaining approvals, The Guardian, 8 April 2019. Adani still has a long march ahead before its Carmichael coal mine opens, Sydney Morning Herald, 10 April 2019. Inside Melissa Price’s decision to approve Adani’s groundwater plan, ABC News, 11 April 2019. Adani: Labor accuses Coalition of using election to duck coalmine questions, The Guardian, 11 April 2019. Adani’s Carmichael coalmine: what happens next?, The Guardian, 11 April 2019. Carmichael coalmine compilation of stories from The Guardian.